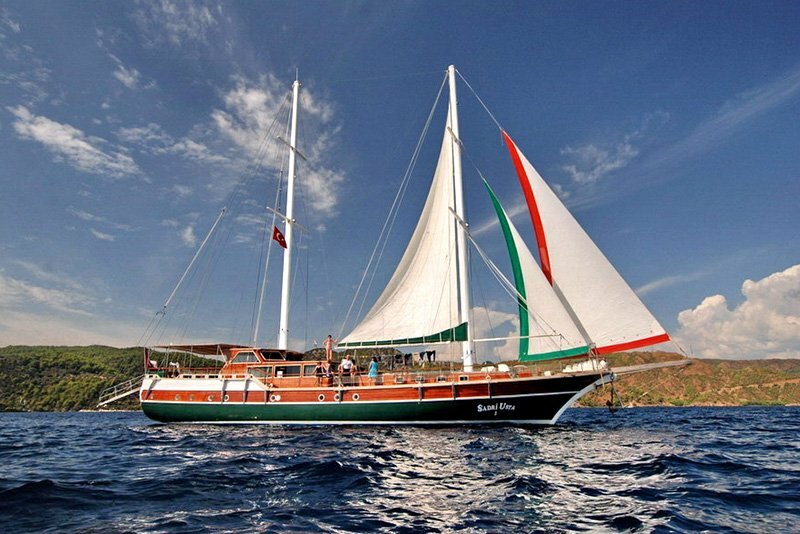 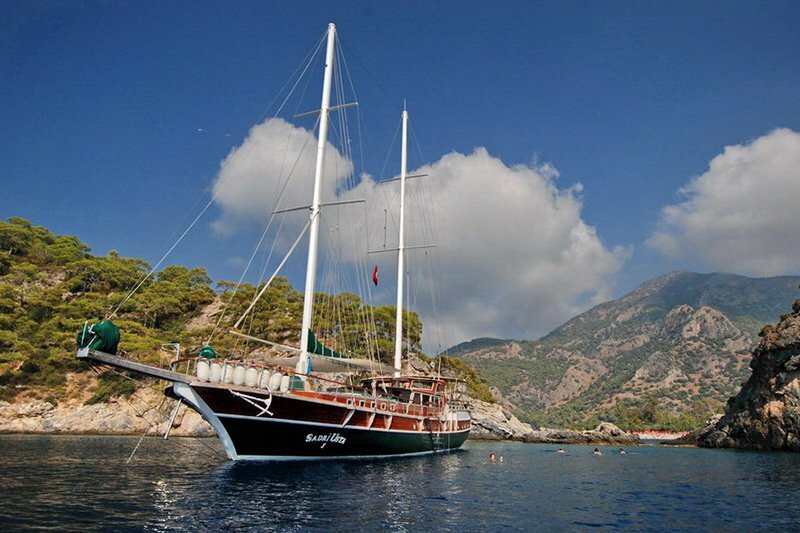 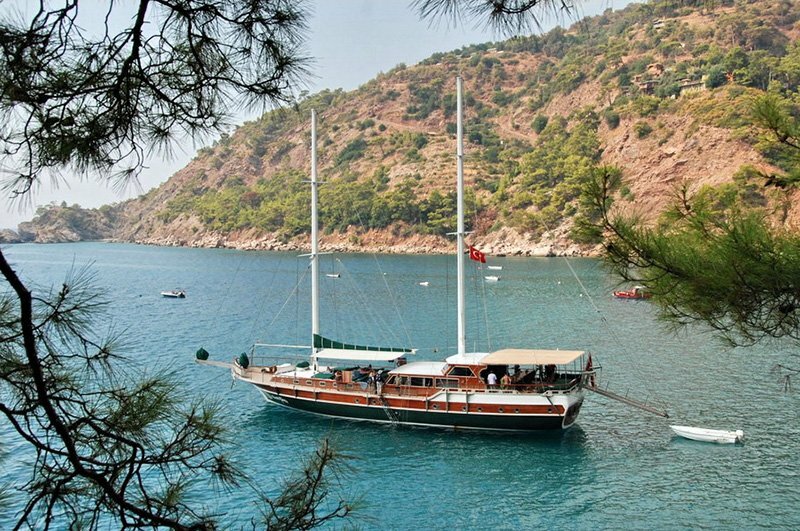 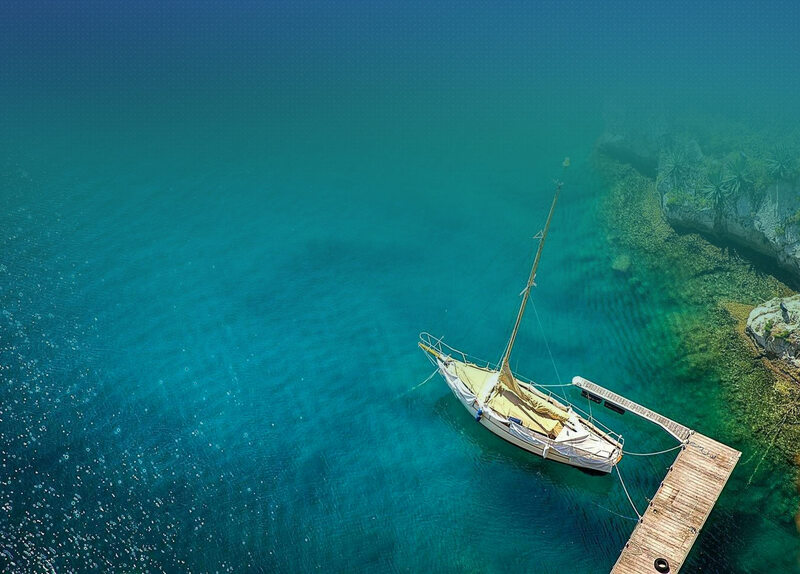 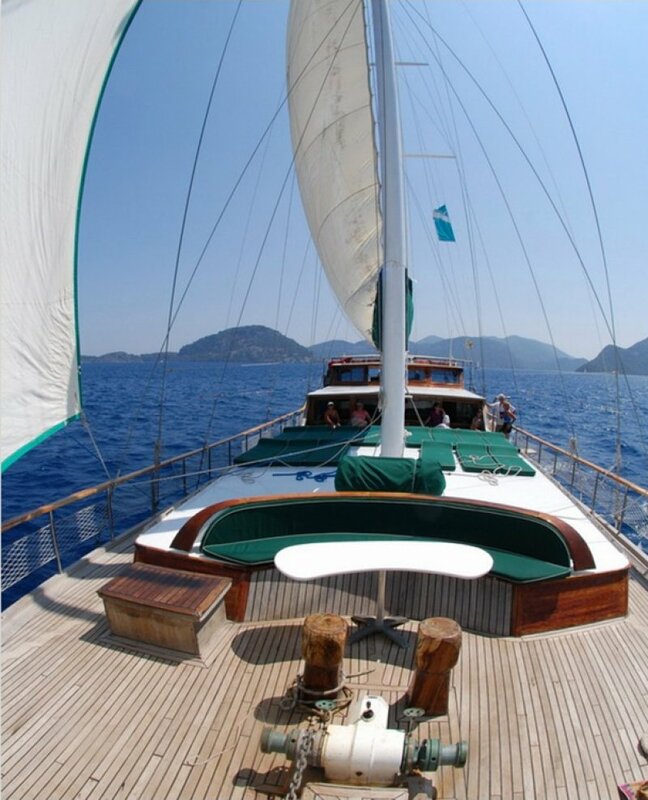 This 28 meters gulet offers comfort for up to 16 guests with her spacious decks and 8 air-conditioned cabins, all en suite bathrooms. 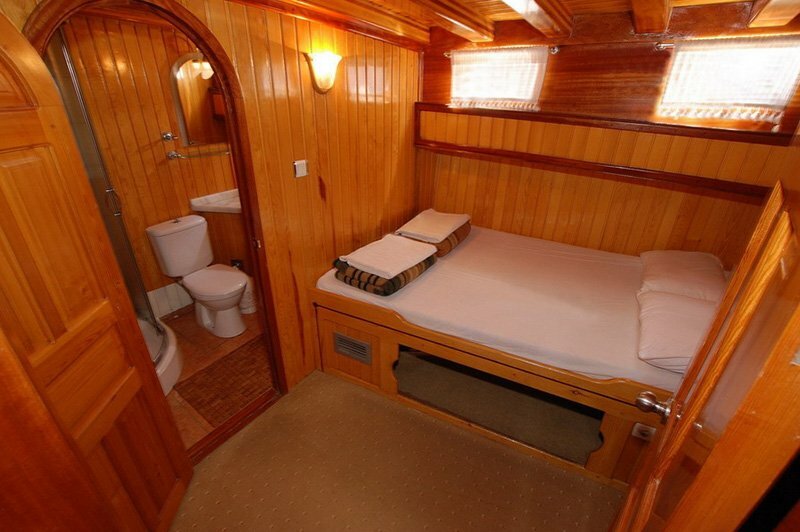 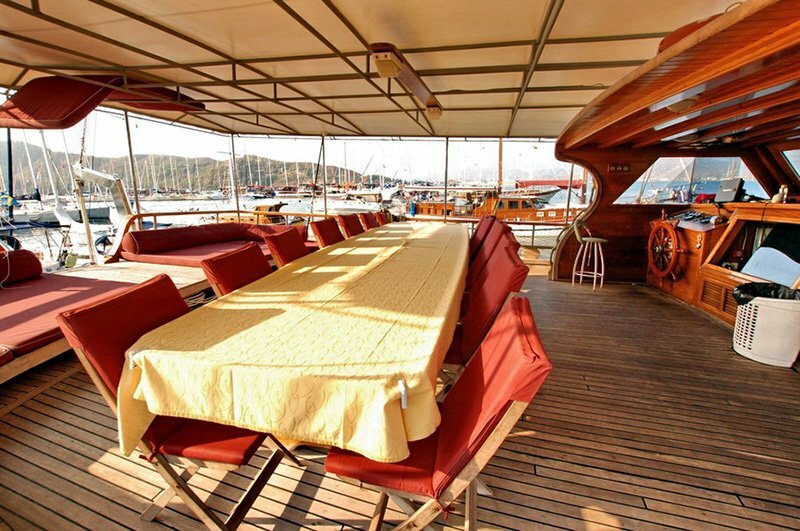 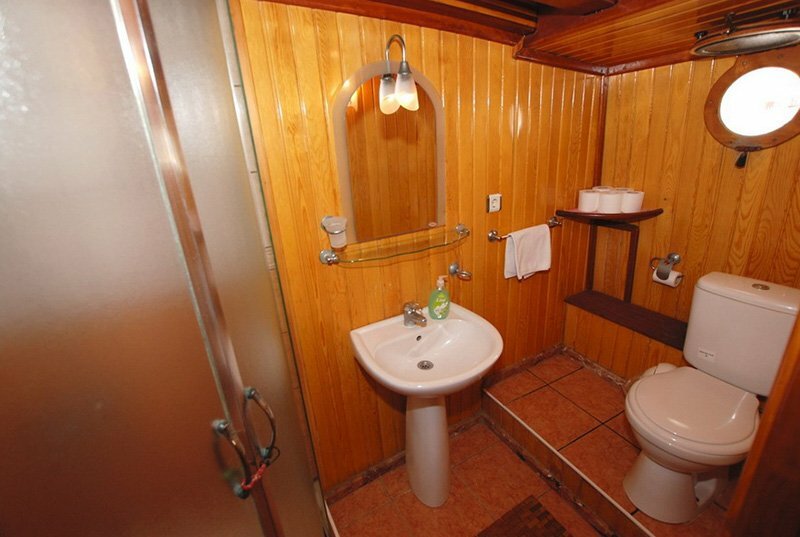 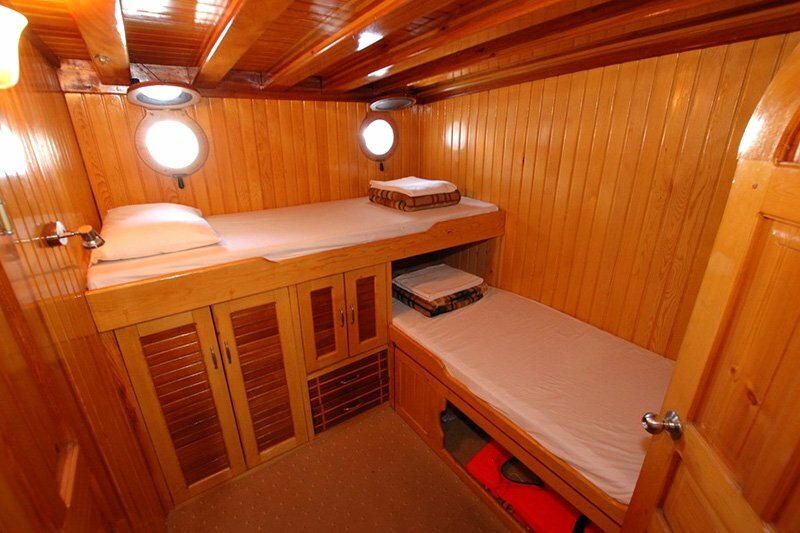 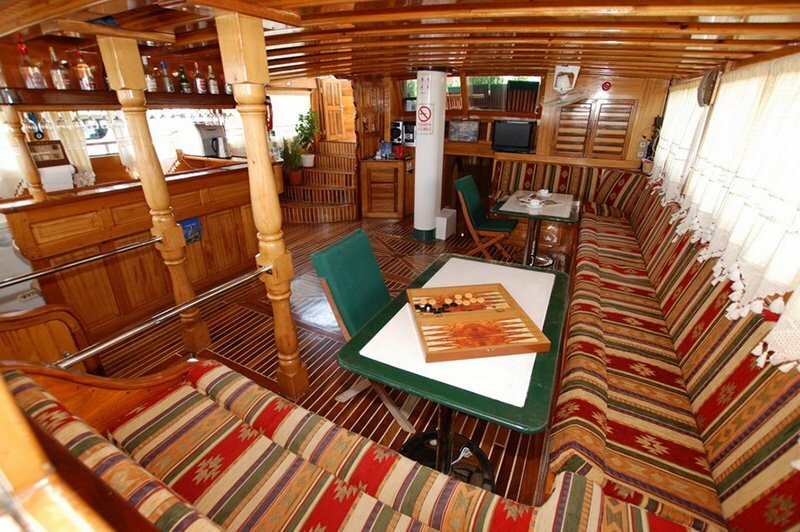 On aft deck three cabins with double bed, in the front part three cabins with a double bed and two cabins with twin bed, seperate crew cabins. 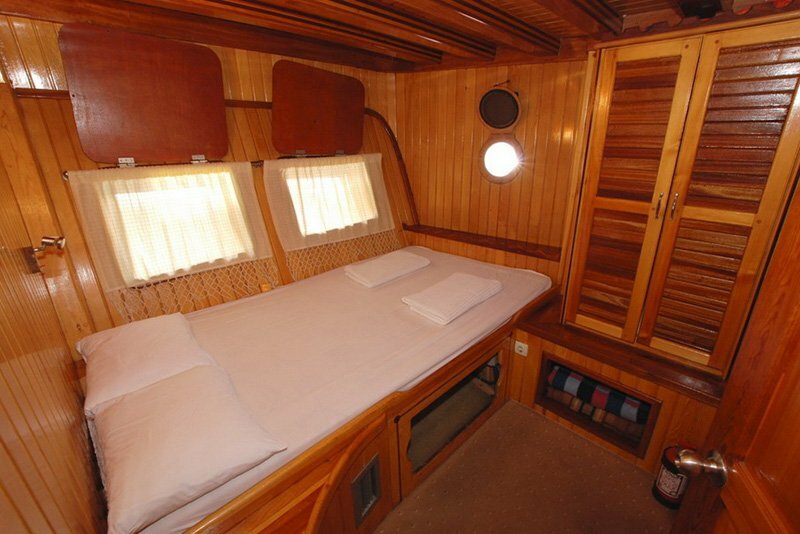 Canoe, dinghy with 15 HP Johnson outboard motor, fishing & snorkeling equipment.